The role of women in today’s workforce is a powerful one, with more women being equipped with education, progressive independence and opportunities to climb the business ladder. It is a widely accepted fact that a dynamic team is a well performing team and coworking spaces have been able to provide what it takes to create a more progressive workforce. So how does a coworking space nurture gender diversity and empower women? Freelancers, part time workers, employees of corporate organizations and solopreneurs all flock to coworking spaces to finish their day’s work. Here, one does not choose to limit the number of women involved in the mix. Gender diversity in the workforce requires a work environment that supports everyone equally. People need to come together to contemplate, debate and collaborate on meaningful projects. Coworking spaces today are designed in a way that they are home to one and all – no race or gender barriers. Many coworking spaces like Workafella, for instance, are conceptualizing the implementation of child care centers right from the initial drafting of the infrastructural blueprint, across all their new business centers. They provide reliable day care facilities for children which is another step towards supporting the working woman. 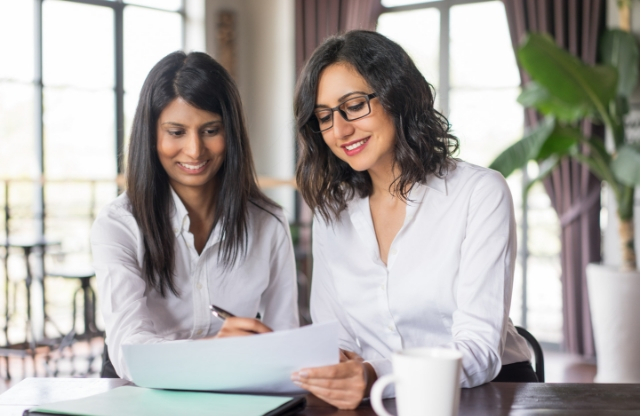 Boot Camps & Training Programs: Women entrepreneurs in coworking spaces get access to a wide range of mentorship programs, training workshops, & they get to network with experienced professionals from a range of industries. The most beneficial part of being a part of a coworking space is that women entrepreneurs can find like-minded individuals, and established professionals who are more than willing to hear about their new business ideas and projects. Late shifts and safety: Sometimes women have to pull all-nighters. When there’s an important project going on, or when there is a client calling in on a video conference meeting at 1 am, a businesswoman has to be at her best – in a professional space. Co-working spaces provide complimentary meeting rooms and wellness rooms. Finally, a woman can take some rest and get back to work in a safe environment, with 24/7 surveillance and security. Collaboration: In a coworking space, women can collaborate with other professionals and learn from them. A coworking space gives independent professionals the opportunity to go beyond the ordinary and venture into new fields. Flexible plans: Women who work at a coworking space have the benefit of paying for their seat alone. A woman solopreneur can start off by paying the minimum and then as her business grows she can gradually mix things up and expand her territory into a private office space within the business center. While coworking spaces can benefit women, the very presence of women in the coworking space allows for the possibility of new thoughts and ideas to be shared among the community. A woman is an individual who is full of innovative ideas and potential. The possibility of her peers learning something new from her, enriches the environment she works in. Also, women who work at coworking spaces seem to be relaxed and have a good work-life balance. 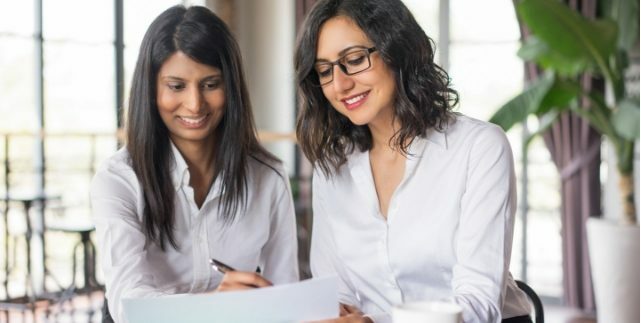 Having been a part of Workafella, since its inception, I have observed that the benefits of having a gender diverse workforce range from having different perspectives working together, a wider talent pool to choose from, and enhanced collaboration on the floor, to improved employer reputation and recommendation. The coworking space at Workafella makes for a comfortable and facilitative environment that not only supports professionals, but also provides the additional services that may be required to meet the needs of businesswomen. I feel that in the years to come, many working men and women would turn to coworking spaces to support their business endeavors. For those looking to give their business a progressive revival, I would highly recommend a coworking space – where professionals from different fields work together, on their own terms, in a space that works to their tune.